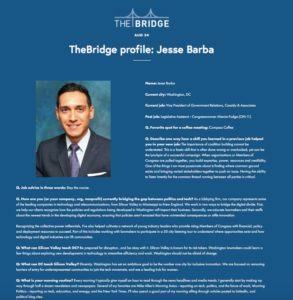 Cassidy Vice President Jesse Barba is today’s featured profile of the daily digital newsletter of TheBridge. 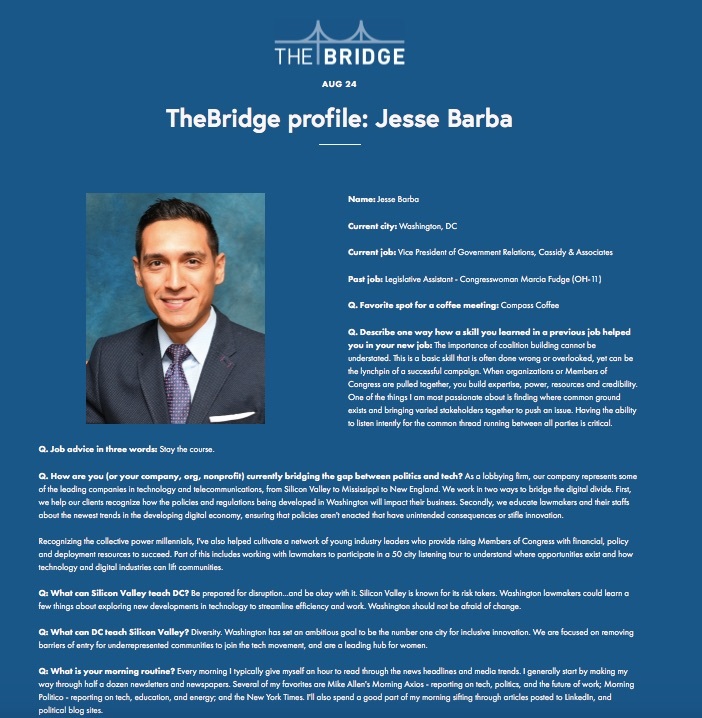 TheBridge is a network of tech & political professionals connecting the Bay Area & DC and shaping the future course for how politics and tech collaborate. Read more of the profile here. As one of the leading bipartisan government relations firms our team is consistently ranked among Washington’s best. 2017 © Cassidy and Associates. All rights reserved.